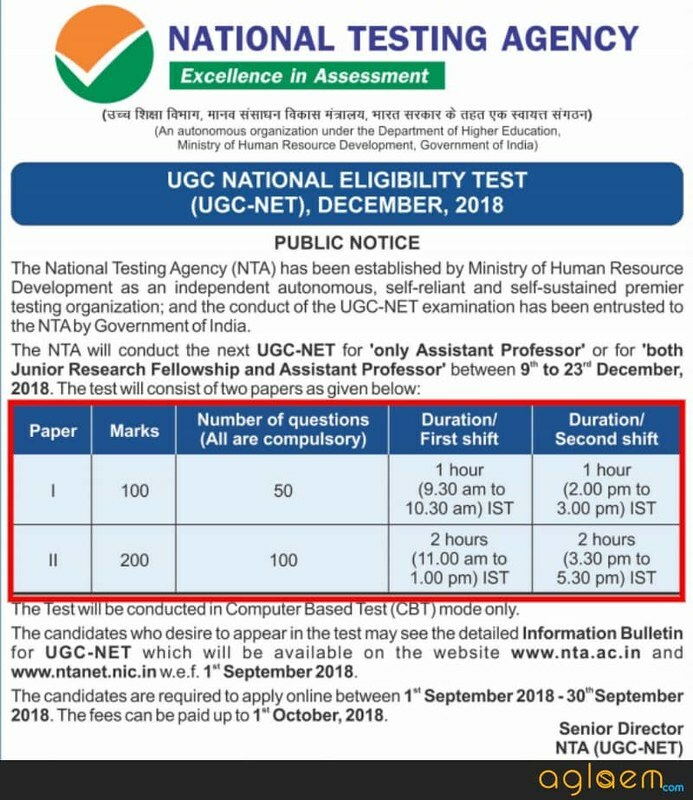 UGC NET Dec 2018 – National Testing Agency (NTA) has declared the Final UGC NET Dec 2018 Answer Key at ntanet.nic.in. The final answer key has been released on January 11, 2019. 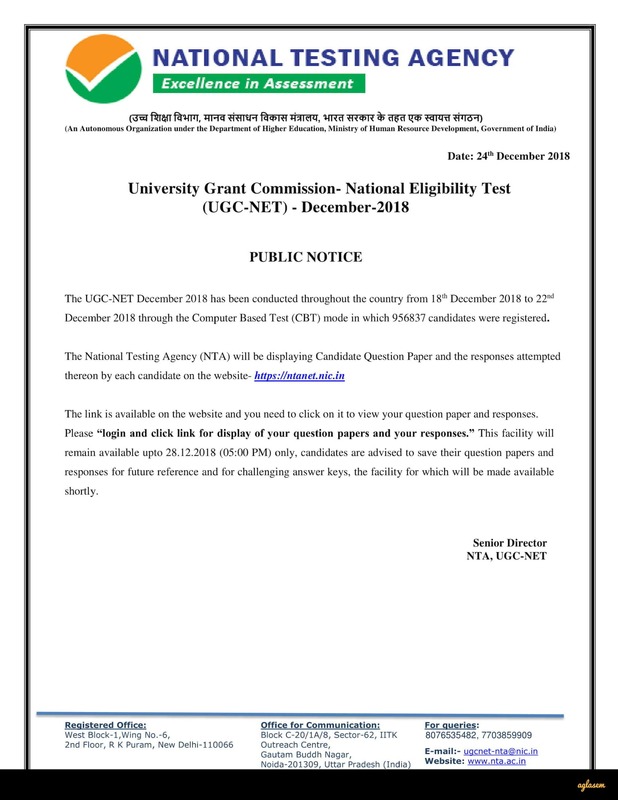 The UGC NET Examination held from December 18 to 22, 2018. Now the candidates appeared in the examination can check the result. The result announced through login. Earlier the answer key was released on December 29, to 01 January 2019. For objecting the answers the candidates had to pay the challenge fee. Now the candidates can match their marks with answer key. Check UGC NET Dec 2018 schedule, dates, syllabus, exam pattern, and more information from this page. Latest News: NTA has released Final UGC NET Dec Answer Key 2018. Click Here to check it. NET is conducted twice by NTA and the first one is held in December 2018. The result of UGC NET 2018 is valid for 3 years, w.e.f the date of JRF Award Letter issuance. However, if a candidate has already joined M.Phil. / Ph.D. then it is considered from the date of declaration of NET result or joining date, depending on whichever is later. After few days of examination, NTA released the answer key and OMR sheet at ntanet.ac.in. The candidate who appeared in the exam was able to check their answer key. In addition to this, the OMR sheet is displayed as well. The candidates who did not found the answer key suitable they challenged the answer key by paying 1000/- per question. Hence candidates can make challenges in the set time frame. Thereafter NTA processed final answer key, And on the basis on Final answer key result is declared. 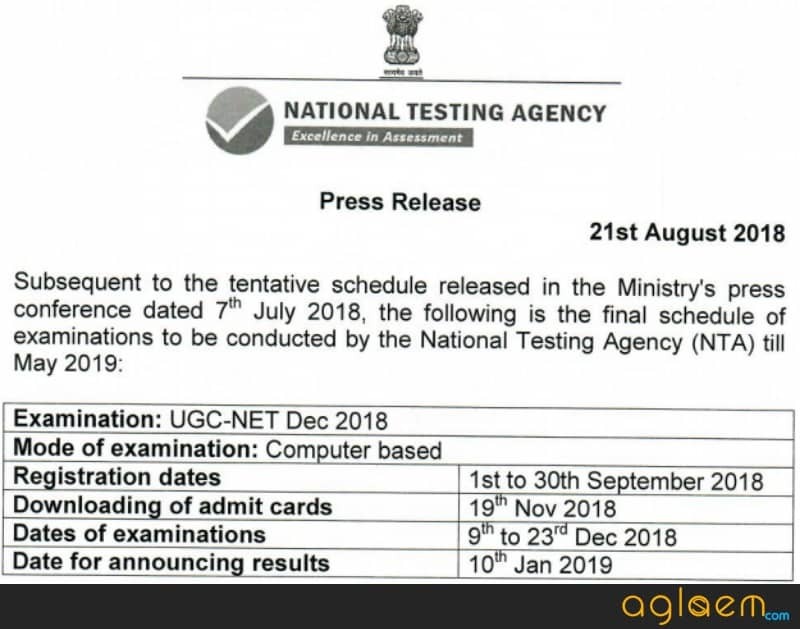 National Testing Agency (NTA) released UGC NET Response Sheet and Question Paper today, on December 25, 2018. It has been released via login and the candidates can access it from the link above. In order to check the Response Sheet of UGC NET 2018, the candidates will have to enter application number and password. 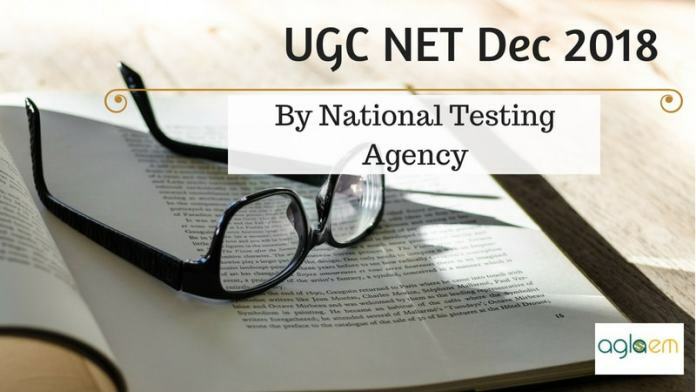 The Agency will soon release the UGC NET answer key. So, save your response sheet and use it to match the answers with the answer key of UGC NET 2018. NTA has issued the admit card to the candidates who have filled the application form before the last date. The admit card is issued at ntanet.nic.in. The admit card is issued through the login, candidates are needed the application number and password to download the same. As the examination is holding on five different days, but the admit card is released for all the days today only. The admit card is indicate exam date, shift, and center. It is mandatory to carry admit card in the examination hall along with the passport size photograph and valid id proof. If a candidate is not able to download the hall ticket from the website, then they may contact the help line numbers. Candidates should contact between 10:00 am to 5:00 pm, from November 19 to 25, 2018. 1800112211, 18004253800 are the helpline numbers. Note: Call the helpline numbers even for error in details, photograph, signature in the admit card. NTA clearly specified that it has not changed the exam pattern and syllabus. The exam pattern of UGC NET 2018 contains two paper. The Paper I is common for all the candidates have ot attempt the paper I. Whereas the Paper II is elective candidates can choose the subject as per their choice. The exam pattern of UGC NET is given here. 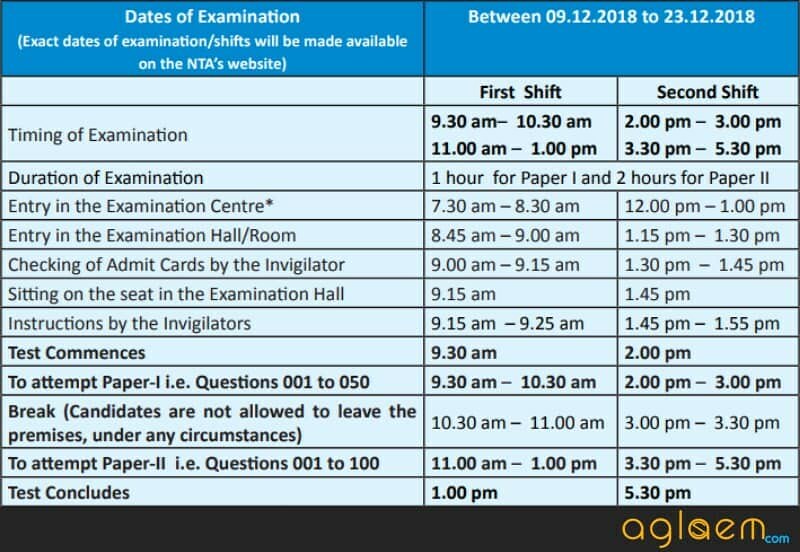 According to information brochure of UGC NET Dec 2018, the bell time schedule of the examination begins from 7:30 am shift I and from 12:00 pm for shift 2. Before starting the examination, the invigilator will check the admit card, given instructions for the exam, etc. Candidates can check the complete bell timing for UGC NET 2018 from the below. 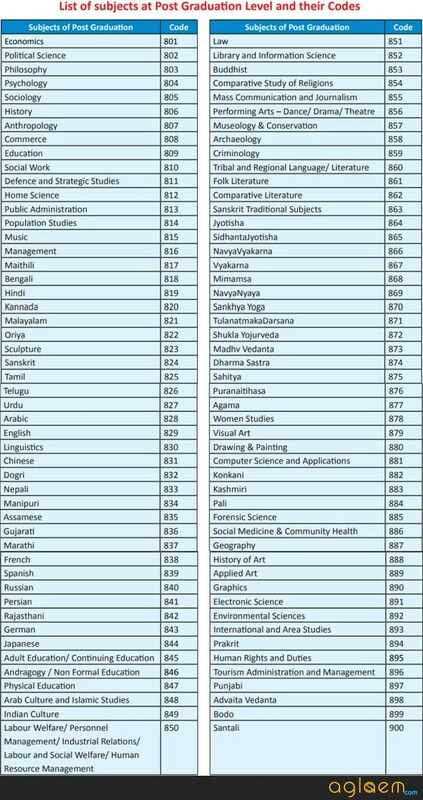 The syllabus for UGC NET 2018 is the same as the previous one as decided by CBSE. This time the examination is being conducted in 85 subjects, till the last year CBSE was conducting it for 84 subjects. The candidates can choose their preferred subject in which they want to take the eligibility certificate. Candidates can check the list of the subject for post-graduation and their codes form the below-provided image. The candidates can get the entire syllabus of UGC NET Dec 2018 form here. UGC NET Dec 2018 will be conducted all across India in 226 cities last time when CBSE conducted the exam in July the exam was held in total 91 cities. This time, NTA is covering the entire country. Each city has a unique code. Click here to get more information about UGC NET Dec Exam Center. After conducting the exam, NTA will release the result for UGC on its official website at ntanet.nic.in. Those who will appear in the exam will able to check there result by visiting the official website. Or they can do the same by this page as well. The final result will be on basis of final answer key. After declaring the result NTA will resale the final answer key. The candidates should note that there is no re-evaluation and no re-checking after the declaration of final result. There is the provision of clearing 6% candidates of the total number of candidates appeared in both papers of NET. The above rule is redistricted with the reservation criteria. ‘Assistant Professor Only’, candidates have to obtain the minimum qualifying marks (For General category marks are 40% and 35% for all reserved category candidate ) in both papers of NET. As of now, we do not have the cut off marks for UGC NET Dec 2018. However the information Bulletin of UGC NET Dec 2018 contains the minimum qualifying marks. General category candidates have to obtain minimum 40% marks in both papers while reserved category candidates have to obtain 35% marks. ( JRF and Eligibility for Assistant Professor). Till now, under CBSE the exam was held in pen paper based, but now onwards when NTA’ has taken over the conduction of exam hence it has been changed the mode of exam. This is the biggest change, that candidates have a problem in adapting the changes because candidates in rural areas are not so comfortable for the online exam. They may be not aware of online conduction. Hence to make candidates familiarize with the online examination environment. For this, the following NTA has taken the following Steps. NTA has identified 2697 schools and engineering college as the Practice Test Center. These centers will work as the replica of the actual test center. The environment of the centers will be created exactly the same as the actual exam center. The aspirants can take this benefit form September 01, 2018 on every Saturday and Sundays. This facility is free of any charge, hence candidates can take the mock test easily. The TPC’s will help the candidates to use the computer, such as a mouse, and a virtual keyboard, and how to log in as well. This will help a lot who doesn’t have knowledge of operating computer. Via a newspaper, Director General of NTA Vineet Joshi told that NTA is developing a new mobile app for mock test. The app will be provided on the TPC’s. Aspirants can get this form the nearest TPC’s. Hence candidates have one more gem in their bag. As NTA said earlier once application process will be over it will open the window for application correction. Today the window has been opened. The candidates who have filled the application form in time now they can correct the form if there is any mistake. NTA has started this one-time facility for correcting the form. Once the time of period dedicated to corrections overs, candidates can’t make any correction in the application form. In order to make corrections, the candidates have to pay a certain amount as correction fee through available modes. Many candidates have been confused regarding the use of Aadhaar in the Application form. NTA is getting so many queries from the candidates in this matter. NTA released the application form as well as it has developed a new website for UGC NET Dec 2018 i. .e ntanet.nic.in. The aspirants who find themselves fit as per the Eligibility Criteria applied for UGC NET December 2018. However, the process of application was the same this time as well. But the application fee was changed. NTA cut down the application fee for each category. Hence check the revised version of the application fee. The mode of the submitting application form and fee was online. Apart from that, no other mode was available. National Testing Agency formed by MHRD has confirmed the conduction of UGC NET 2018 earlier through a press release, now it has released the public notice for UGC NET. The public notice contains the dates of bell time of examination which has highlighted in a red box. A new thing has been notified through the notice that application fee could be submitted till October 01, 2018. As we said above, NTA has started the registration for the Test Practice Center. So the candidates who want to appear for the mock test can register themselves on nta.ac.in. The registration window has resumed today again, The registration window was active on August 28, 2018, for some time. Aspirants can take maximum five mock test for UGC NET 2018. They have to sort 05 nearest centers by selecting the preference. The candidates have not to submit anything for registering themselves for TPC. The best part about TPCs are any candidates can register themselves. There is not any compulsion for participating in an exam. They can take the mock test for only preparation also. The candidates may be so confused about the eligibility, but don’t worry NTA has not changed the eligibility for UGC NET. The candidates can refer the eligibility same as old. Candidates must have at least 55% marks in masters degree or 50% marks if they belong to SC / ST / OBC / PWD category. Those who are pursuing a masters degree or those who have appeared (final year) and are waiting for result are also eligible. However, they will be admitted provisionally and they will be eligible for JRF / eligibility for Assistant Professor only after passing masters degree with 55% marks at least or 50% marks if they belong to SC/ST/OBC/PWD. They should complete masters degree within 2 years of declaration of UGC NET 2018 result. Those who have Ph.D. degree whose masters level was completed by September 19, 1991, will be eligible for 5% relaxation in aggregate marks for NET. Candidates must appear in that NET exam subject for which they did post graduation. If your subject is not in subjects list then you can appear in a related subject. Age limit JRF: Candidates must not be more than 30 years old as of July 01, 2018. SC / ST / OBC / PwD / Transgender / women candidates get a relaxation of 5 years. Those candidates who have research experience, limited to the period spent on research in the relevant field, will get relaxation subject to maximum 5 years upon showing relevant certificates. Candidates possessing LLM degree will get 3 years age relaxation. Those who have served armed forces up to the first day of the month in which UGC NET is being held will get up to 5 years relaxation. Assistant Professor: There is no upper age limit for Assistant Professor. NET / SET / SLET are minimum eligibility condition for recruitment of Assistant Professors. Exemptions from NET / SET / SLET are as per UGC regulations. Those who have passed UGC or CSIR JRF prior to 1989 are exempt from NET. Those who have cleared SET accredited by UGC for eligibility for Assistant Professor held prior to June 01, 2002 are exempt from NET. If you have cleared SET after June 01, 2002 then you are eligible for Assistant Professor in institutes of that state only. Transgender candidates also get some relaxation in age, fee. Qualifying criteria as SC/ST/PWD/OBC. Those who will fill the application form on time will get the admit card for the exam. As like the application form NTA will issue the admit card on nta.ac.in. The eligible candidates will able to download the admit card by visiting the NTA’s website or they can do the same form this page as well. As we will provide the direct link for downloading the admit card on this page. Share your views on the changes and initiative taken by NTA. Write them in the comment box, if you have any queries them do write them as well. For more information download UGC NET December 2018 information brochure.